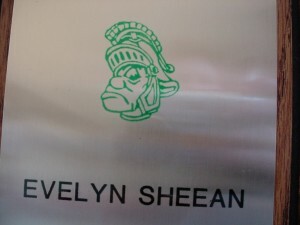 In this post, we have two views of the same object: a plaque in the archives that contains the first image of Tommy Titan as something other than a person in costume. This artifact contains the earliest record we have of the transition from Tommy as a person dressed in titan-esque attire (see details in previous post) and the costume-wearing student who serves as our mascot today! Any time a student or any member of the community attends an IWU sporting event a constant image and cheerful presence is the IWU mascot of Tommy Titan. 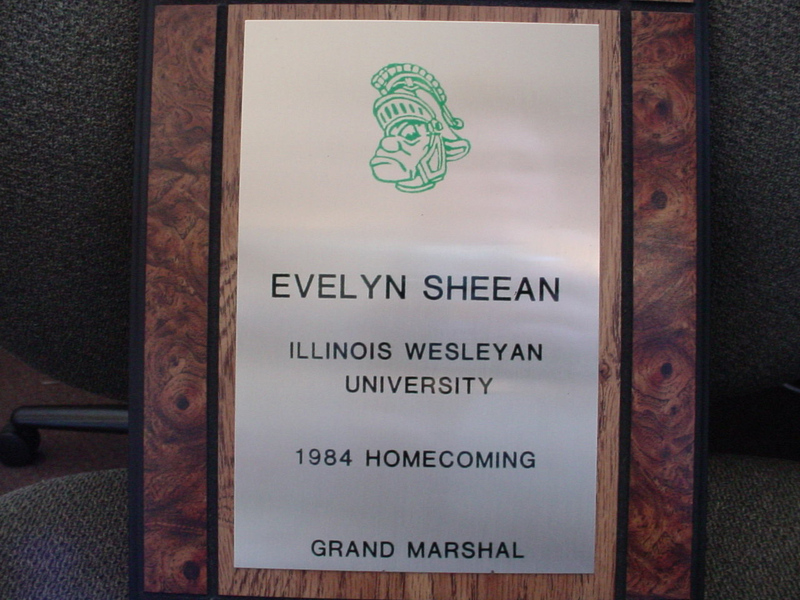 Tommy Titan is undoubtedly one of the important symbols of Illinois Wesleyan University, but when did Tommy become the official IWU mascot? 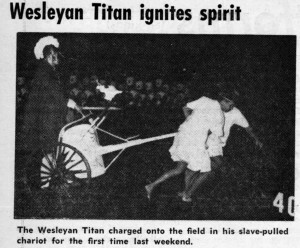 The IWU Titan name was first mentioned in October 27,1927 issue of the Argus.The IWU football team previously had no specific name and they were the first to acquire the nickname Titans. Soon all IWU sports teams chose to use the name of the Titans, but the first name of Tommy did not appear until much later and we can thank a man named Lee Short! Click on the image to go to the Argus issue containing Tommy’s debut! 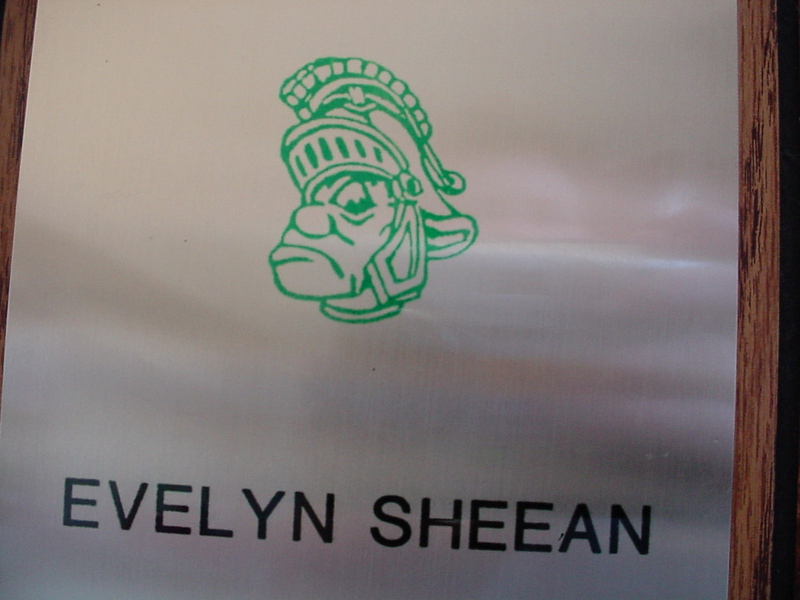 Class of 1944 alumnus Lee Short earned the credit of creating the gladiator-like image of our beloved mascot and giving him the first name of Tommy in 1951. Throughout the 1960s and 1970s, Tommy’s appearance evolved even more, but you can read the story about Tommy’s origins in the November 2, 2007 Argus. The first image we have of Tommy is at this football game against ISU on September 25, 1965. The student portraying him is Steve Reeser, Class of 1969. Long before Tommy Titan, the IWU colors of green and white were documented as our school colors in an 1898 report by the Daily Pantagraph. It is interesting to think that before adopting the name of the Titans the sports teams of the past (pre-1927) simply referred to themselves as the GAW (for Green and White) and continued to do so for some time until the Titan name decidedly became the commonplace term. Be sure to look at the Argus issues linked in this post and all the other resources for IWU history! And check out our campus traditions page for pep songs and more. Lee Short has a long and interesting association with IWU, and he contributed an oral history recording in 2010 that is also available online.